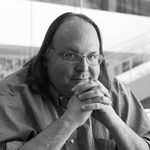 D&S advisor Ethan Zuckerman responds to criticism for donating to the North Carolina GOP office’s reconstruction. It’s also possible that kindness is the single most important and powerful thing you can do to make change in the world. Consider the story of Derek Black, who inherited a leadership role in the White Nationalist movement from his father, the founder of the Stormfront message board community. A fellow student at New College in Sarasota, Florida reached out to Black, inviting him to an interfaith shabbat dinner, not to confront him about his beliefs, but simply to reach out and include him. This kindness proved transformative — at great cost to his relationships with his family, Black has forsaken white nationalism.